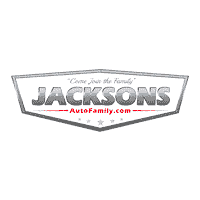 At Jacksons of Enid CDJR, we’re here to serve drivers in Enid, Ponca, North End, and beyond with unparalleled customer service, automotive maintenance, great deals, and of course, a vast selection of Chrysler, Dodge, Jeep, and Ram vehicles, as well as a large stock of used cars for you to choose from! When you’re ready to get started, we’ll be here ready to help you make the choices that are right for you! At our dealership, we try to do things differently. We try to have fun and show our guests a great time on our lot by making them laugh, and getting to know them. By taking the time to chat, we’ll get a strong sense of what you’re looking for so we can make relevant recommendations and actively help you find the model that you want. We want you to have fun and laugh while you’re shopping around for your next car.